How can companies in British Columbia’s most traditional industries like mining, forestry, and agriculture benefit from virtual reality and artificial intelligence – advanced technologies that can make companies more efficient and competitive on an international scale? Imagine a farmer seeing and treating a sick plant from a desktop computer, or taking a tour of a remote mine site thousands of miles away in a local boardroom. It is possible, but communication bridges between the traditional and technology sectors are still being built. The BC Innovation Council (BCIC) is creating programs to connect non- tech companies that can potentially innovate operations through doing business with technology companies. The technologies are there – only traditional companies may not know they exist. “We’re trying to better communicate that every industry in the Province of British Columbia has the capacity to be looking at innovation and technology, and figuring out how it can further what they do and how it can help them to grow,” says Nadine Diner, Director of Industry Initiatives at BCIC. Programs include #BCGO, a province-wide tour that connects businesses with challenges with local BC tech solutions, and the BCIC Ignite Program provides up $300,000 to research projects focusing on natural resources and the applied sciences sector. The B2B Matchmaking Program, which takes place at the #BCTECH Summit, identifies the needs of technology buyers, innovation scouts and government procurement specialists and connects them with innovative, BC-based technology solution providers. “We try to facilitate connections and meetings that can lead to business opportunities for both the solution providers and the parties looking for solutions,” Diner says. Saber Miresmailli, founder and CEO at Ecoation, has found a solution for farmers with large crops who can’t see all their crops – a robotic technology that can retrieve information from distressed plants and identify an infestation before it spreads. 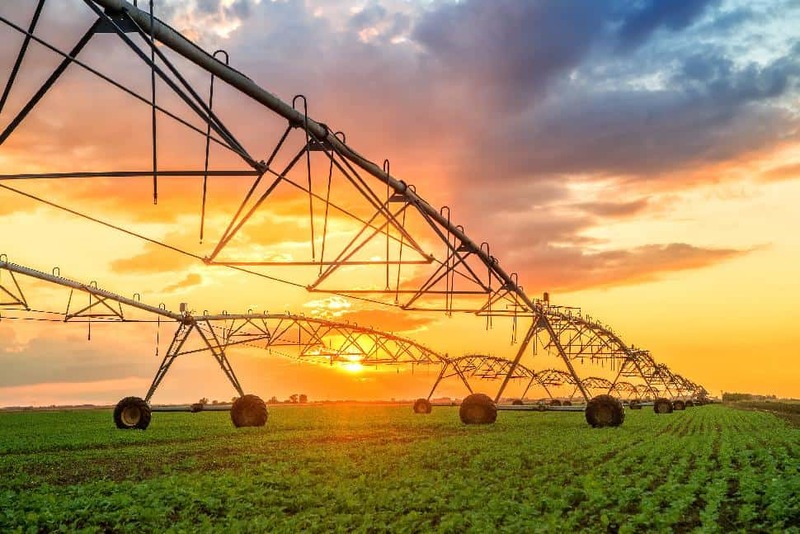 The artificial intelligence technology, or ­Miresmailli’s eponymous ‘Saber’ machines, move through crops distinguishing between unhealthy and healthy plants, and can surgically apply pesticides when and where they are needed, avoiding issues of excessive use. 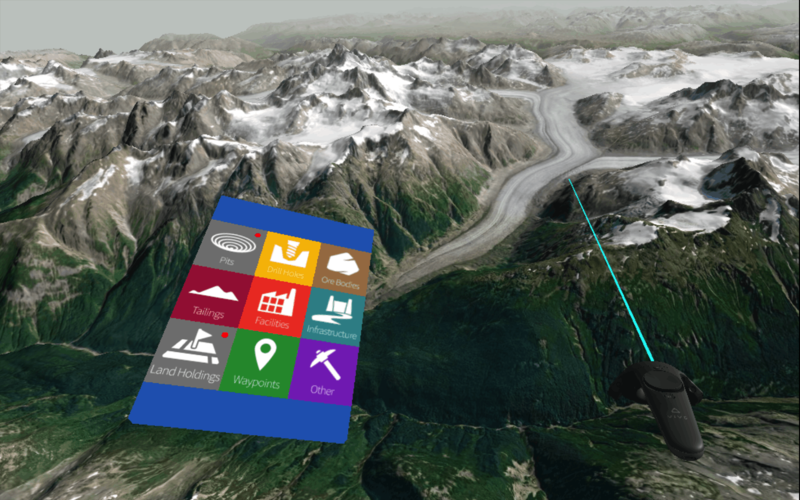 LlamaZOO's MineLife VR platform enables users to interact with a mine plan in virtual reality, encompassing thousands of kilometres of mapping and planning data. Kevin Oke, co-founder and VP of sales at Llamazoo, a virtual reality company that develops communication software for enterprise, says the mining industry has started spending more on disruptive technologies, and that those technologies are being used in investor relations and business development. Llamazoo is pursuing the concept of digital twinning. That technology creates, for businesses with assets like mines, a digital representation of the mine site through virtual reality, so site tours can be taken as virtual tours. “It’s speeding up processes by centralizing data – it’s easily available to all the different stakeholders, and reducing the need to have people make onsite visits. This is a way to virtually take people to a mine site, without all the issues of travel logistics, carbon footprint, permissions and safety,” Oke says. Llamazoo’s technology can explore the mining space through the concept spatial data fusion- that takes spatial data and puts it into one central repository, easily accessible and available to stakeholders. “No matter where you are in the world, you could be monitoring the situation as if you were on the ground, and its giving you the information just in time so you can make adjustments to be as efficient as possible, so you’re saving money and making more money,” Oke says.